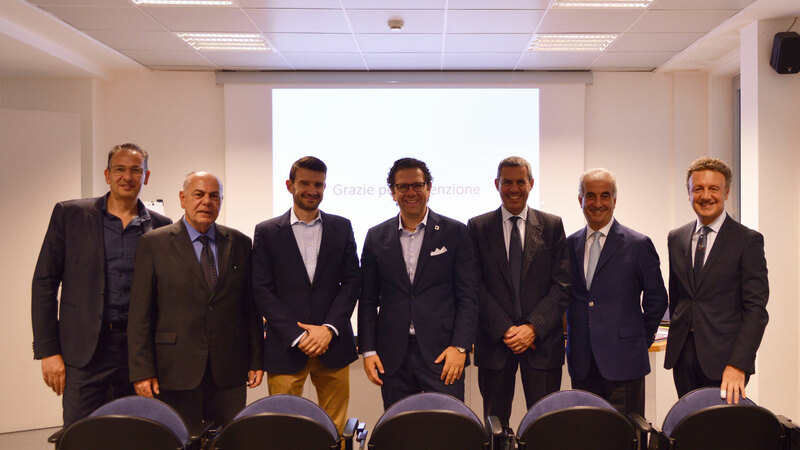 Massimiliano Guzzini, Vice President and Business Innovation & Networking Director of iGuzzini has been reconfirmed as president of ASSIL - Association of Italian Lighting Manufacturers merged with ANIE – as part of the shareholders’ meeting held yesterday, May 30, in Milan. The confirmation of this new mandate, running until spring 2020, allows iGuzzini to carry on its commitment to enhancing ASSIL’s role in both Italy and Europe and to pursuing the main directives that steered the first mandate. In particular, strengthening its active participation in defining national and international regulations and having a stronger focus on innovating the market and its trends. "I thank the Assembly for this high-status confirmation - said Massimiliano Guzzini – which allows me to pursue the aim of actively contributing to defining regulations that facilitate a structured approach to growth opportunities brought about by new technologies in both Italy and Europe. The increasingly rapid technological transformation and the increasing investments in research and development require a change of pace for many of our members and in particular for small and medium-size companies. Through our active participation in the Executive Board of Lighting Europe – the European association that determines the guidelines for the evolution of the lighting industry – we are determined to adequately represent the legitimate interests of Italian involvement, the second largest European producer after Germany. Thanks to the collaboration between these two institutions and the cooperation with associations from related sectors, we intend to create a system able to support new technological trends, such as IoT, transforming them into engines for growth and internationalization". More generally, the lighting industry is experiencing continuous renewal thanks to the potential offered by new technologies and growing interconnections which allow lighting appliances to become the infrastructure for data transmission.